The Beverly Hills surgeon comments on a recent article that the wide use of numerous relevant search terms shows that old stereotypes about treatments are on their way out. Google searches are showing an uptick in interest in plastic surgery-related terms. The study shows that old stereotypes about plastic surgery being primarily for performers and socialites living on the two coasts couldn’t be more incorrect. 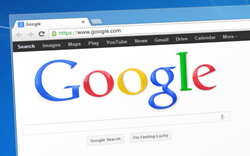 A November 3 article at The Kansas City Star takes a look at the most common plastic surgery Google searches in different regions of the United States, according to a recent study. The article notes that researchers found, for example, a preponderance of people from Missouri searched for information about buttock augmentation, while Kansas residents appeared to be more interested in eyelid surgery (blepharoplasty). Beverly Hills plastic surgeon Payam Jarrah-Nejad, M.D., F.I.C.S., F.A.C.S., known to his patients and colleagues as Dr. J, says that the study shows that old stereotypes about plastic surgery being primarily for performers and socialites living on the two coasts couldn’t be more incorrect. The physician says that it makes sense that women in the show-me state of Missouri would be looking for ways to make their backside more suitable for public display, and that people in the ultimate heartland state of Kansas would be just as concerned with getting rid of baggy eyes as men and women in L.A., New York City, Rio de Janeiro, or Seoul. Dr. J notes that, while it’s certainly true that a number of his Los Angeles Area patients are involved in the entertainment industry, many of them are not actors or musicians, but agents, managers, lawyers, writers, and even gaffers and camera focus pullers. He also adds that many people would be surprised how many of his patients have nothing whatever to do with entertainment and include many accountants, teachers, and even a few construction workers. The plastic surgeon notes that many people hesitate to obtain a plastic surgery because they believe these kinds of procedures are really just for some other kind of person – a reality TV star or top musician, maybe. However, Dr. J says that it’s clear to him that procedures are for anyone who wants one. He adds that more and more clients in their sixties and older are getting plastic surgeries and, on the other side of the age equation, more parents are taking a serious look at operations that may help their elementary and high school age children adjust better. The doctor notes ear pinning procedures for elementary school age children to avoid having to deal with bullying over prominent ears have long been a staple of his practice. Dr. J says that he’s also seeing an increasing number of young women looking into breast reductions to avoid too much unwanted attention, and also to allow them to better participate in their favorite athletic activities. Readers who would like to learn more Dr. J and his qualifications, and about whether or not a procedure makes sense for them, are invited to call his office at 310-683-0200.